Since this week’s WordPress photo challenge is ‘collage,’ I thought I’d see just how much I’ve forgotten about Photoshop Elements, or how much I never knew. The answer is a lot, on both counts. 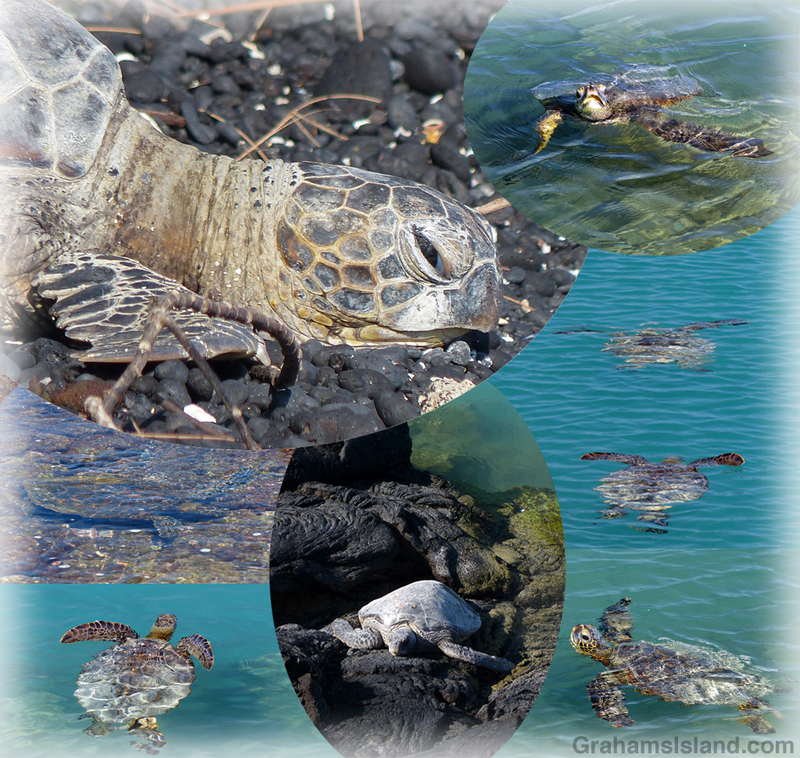 Still I had fun figuring a few things out and I like this collage of turtle photos, taken the last time I was at Kiholo. your collage is beautiful. I’ve never seen a real live turtle but they are so appealing in your photo collage. Great post. Thanks for the kind words. I love watching the turtles. They’re kind of clunky on land, but so graceful in the water.